Think BIG, as you know, is an idea sharing platform that Reliance MF and Wealth Forum bring to you, to exchange ideas and offer insights on how to scale up your business BIG time, and not just incrementally. Think BIG has consistently articulated 5 pillars of success that every distributor and advisor must embrace to embark successfully on the journey of rapid scaling up. Over the last 3 years, we have been recognizing distributors and advisors who have demonstrated excellence on each of these 5 pillars. 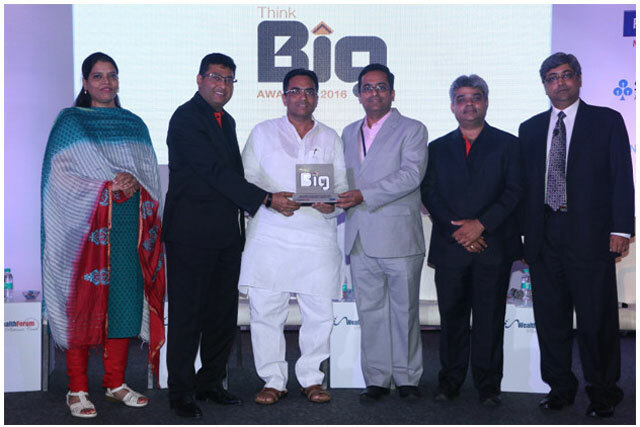 The 4th edition of the Think BIG awards were given away at a special ceremony on July 1st, 2016. 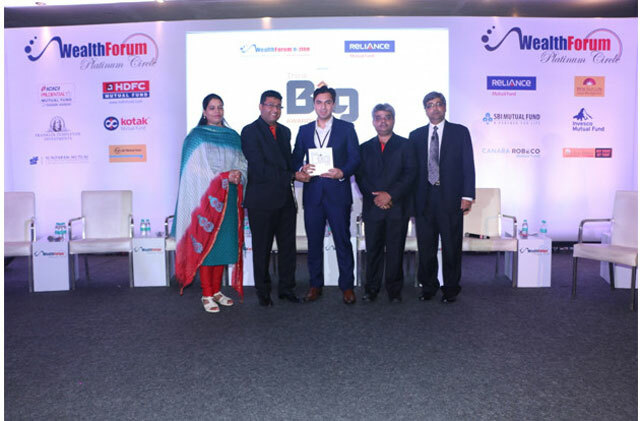 The awards were given away by Himanshu Vyapak, Deputy CEO, Reliance Nippon AMC along with his senior colleagues Saugata Chaterjee and Anamika Mattey, and Vijay Venkatram of Wealth Forum. We have two winners - both very different, but with visions that are far beyond the ordinary. Our first winner is a firm that clearly understood what affluent investors are really looking for in their equity investments, decided to build capabilities around delivering it, and have built a hugely successful business model around it. All of us know that affluent investors want somebody who takes on a mandate to deliver a healthy absolute return - irrespective of markets. They want the advisor to earn only when they earn, and certainly not to earn when they lose. We know this, but we put this aside because its just too difficult to measure up to this expectation. So, we try to manage expectations. Our Think BIG winner this year thought differently. They decided to build the capability to deliver exactly this - healthy absolute returns, with fees that kick in only after clients first make a 15% return. Beyond 15%, its an 80-20 split. Upto 14.99%, the advisor gets nothing. To deliver on this challenging mandate, this firm decided to focus on direct equity - and not just in India, but global equities. The second decision the firm made was not to rely on outside research. So they built an 18 member research team that tracks sectors globally. They have adopted a top down model, as they are firm believers that if you get your sector call right, you are well on your way to achieving the absolute return you are looking for. They got themselves registered as an RIA with SEBI and decided to focus purely on advice. Clients get execution done with any broker of their choice. This enables the firm to focus on the one element where they really add value - which is delivering absolute returns. How successful has this firm become with this very ambitious target? In just 3 years, this firm has raced to an astounding assets under advice of over Rs.2200 crores from 182 families. The firm has clients in Mumbai, Delhi, Bangalore, Dubai and Africa and is now working closely with some IFAs who refer their clients' direct equity portfolios to them. For articulating a vision that few even dare to think of, then building capabilities on a global scale to deliver against this vision, and then delivering the performance that has brought astounding scale in such a short period, the Think BIG award for Strategic Vision goes to Quant Capital Advisors, Mumbai. 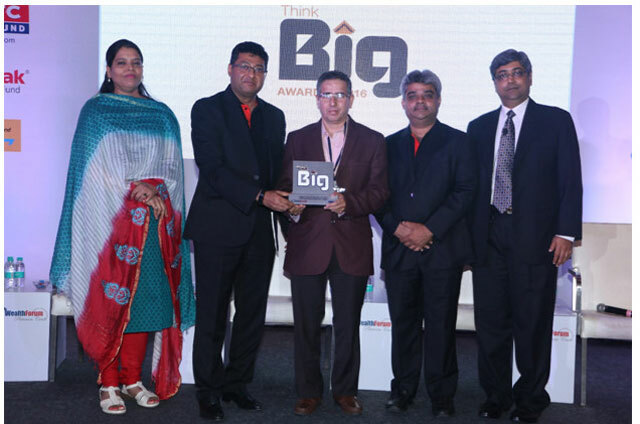 Our second winner of the Think BIG award for strategic vision serves NRIs and is based in Dubai. He quit a successful career at a global bank in 2013 to set up his independent advisory firm that serves HNI NRI clients in the Gulf. What sets him apart is not just his vision, but his clarity on what it takes to realize his vision and the initial steps he has taken in this direction. He has set himself a target to reach in 5 years, an Indian AuM of Rs. 250 crores and an international book of US$ 100 million (which is another 650 crores). He realized early on the need to adopt and stick to certain core principles, which are the foundation of his business. He realized after the 2008 financial meltdown, that size is no longer the key criterion for HNIs to choose their advisor - reliability is. He named his firm McKinley Global Advisors - McKinley being one of the tallest mountains in the US. He was clear that customer centricity needs to be demonstrated in actions and merely words. He understood that unbiased advice and excellent service are the two foundations to build scale on. From the outset, he opted for trail/AuM based fees to align himself with client interests - which is quite a departure at least in that part of the world, where high upfronts are very prevelant. He opted for open architecture mutual funds that are liquid, rather than giving into the easy lure of closed ended structures that are so prevelant in that part of the world. He opted for a global technology platform that offers clients the widest choice - and by choice we mean access to 70,000 global funds, direct equites, bonds, discretionary funds from global managers - essentially the entire spectrum of options. He shunned advisory templates as he believes every client is genuinely unique and should not be fitted into one out of 5 templates while calling it a bespoke service. To ensure the highest levels of service he adopted from day one the Ritz Carlton Service Standard - which is based on principles of trust, honesty, integrity, respect and commitment. Its not as if he had a smooth sailing in his initial couple of years - he's experienced his share of struggles especially in his first year, but to his credit, he did not waver from the principles he articulated which he firmly believes will help him realise his vision. In 2 years of his practice, he has built up an Indian AuM of Rs. 75 crores and an international AuM of US$ 10 million (that's another 65 crores). Well begun they say is half done - and what this BIG thinker has clearly done is to set the right foundation for a truly scalable business. Our second winner for the Think BIG award for strategic vision is Ajay Khurana, McKinley Global Advisors, Dubai. From strategic vision, we move to the next pillar of Think BIG, which is upskilling. Our winner this year is a person who started his career as a medical practitioner, and joined his father who was a leading chest and TB surgeon in Pune. Even as he diligently treated patients at the clinic, his interest began drawing him to the world of shares and stocks. He upskilled himself in the area of his interest and became a stock broker. During interactions with investors, he realized the magnitude of their unfamiliarity with the world of markets and market linked instruments including mutual funds. Concerned that they were losing the battle against inflation by simply keeping money parked in savings accounts, he launched a dedicated effort to upskill them, to teach them the basics of savings and investments, and get them to start their journey into market linked instruments through liquid funds. This focus on onboarding new investors through liquid funds and taking them up step by step through the risk spectrum has enabled him to build a steadily growing mutual fund book which today stands at over Rs.130 crores from over 2300 clients. Upskilling for him is not only about himself and his clients - all his client facing staff are not only AMFI certified, but also have obtained certifications in secondary market operations and in derivatives, even though he has two distinct units for mutual funds and equity broking. As he says, even if one of his staff members back fills for another in the other unit even for a day, he wants to be sure that they have sufficient knowledge and skills to engage meaningfully with clients. 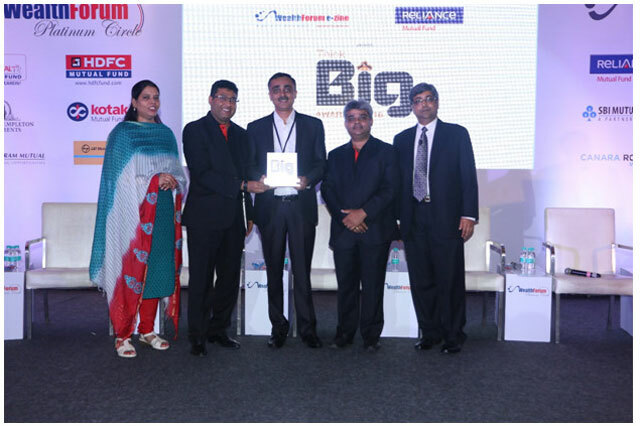 For successfully traversing the journey from the medical profession to the financial advisory profession, for ensuring high levels of skills within his team and for his untiring efforts at upskilling savers to become investors in the right way, the Think BIG award for Upskilling goes to Dr. Anand Sathe, Kalyani Capital, Pune. Articulating a vision and upskilling yourself are critical, but the next pillar of Think BIG's 5 pillars is what can give your business a decisive boost. And that is an ability to create a team that shares your dream and works as passionately as you do to realize it. Often, to create such a winning team, you need to induct senior level talent, and offer them an equity stake to align their goals with yours. Few IFAs actually do this in practice. Our winner of the Think BIG award for team building this year is an advisor who not only did this, but in the process, actually took himself out of the CEO position of his firm and handed over day to day management to a senior industry professional, and offered him an equity stake. He then went on to rope in another experienced professional as CMO - Chief Marketing Officer of his firm, again with an equity stake - to drive his firm's retail expansion efforts. This three member top team then strengthened the research and advisory teams and their processes which has now set the stage for rapid growth. The market in Bangalore is noticing the aggressive ramp up in business volumes from this well-oiled machine which has now become one of South India's fastest growing IFA firms. And it all began when one person decided that to Think BIG, he needed to do what it takes to create a strong leadership team, and had the courage and conviction to go ahead with it. Our winner this year of the Think BIG award for team building is L. Sridharan of Ultimate Wealth Managers, Bangalore. So, we've got to the stage where we have articulated our vision, upskilled ourselves and set up a team. The next step - which is one where many IFAs falter - is setting up of processes that enable you to actually get the best out of your team and their skills to achieve the quantum jump in business volumes you are searching for. Scale without processes is impossible. We have two winners this year - on two different aspects of processes - which signify the importance of this pillar in your journey to grow BIG. The first winner has created a series of on-ground processes especially in the client engagement aspect, which are enabling them to scale up rapidly without losing focus on existing clients. The second is a firm that has adopted technology to achieve rapid scale up that few firms are able to match. Processes are important - whether on ground or online - for you to not only think BIG, but actually grow BIG. Our first winner is a firm that began as a humble IFA firm in Delhi serving middle class retired and retiring individuals. Their scale up over the years to be counted among the largest retail IFA firms in the country owes in large part to the meticulous processes that have been instituted across the firm. As the team expanded, it is these documented processes that have been ensuring seamless delivery of the same level of service as they offered when they were much smaller. The firm has created what it calls the TACT matrix, which is a great example of how to intelligently segment clients and engage with each segment very differently. They have created a structured 7S process for 360 degree client engagement. Client engagement processes for them is not just about routine engagement - they are equally adept at taking a structured, process driven approach even for fire fighting missions. A recent example was the way they proactively tackled the commission disclosure issue with clients by creating a structured process to define the risk, processes to deal with different types of risk and clear instructions to their teams on how to handle each kind of client segment. Regular readers of Wealth Forum have also benefited from their thought leading approach towards client engagement processes as they are very gracious in sharing their approach with the wider IFA fraternity. 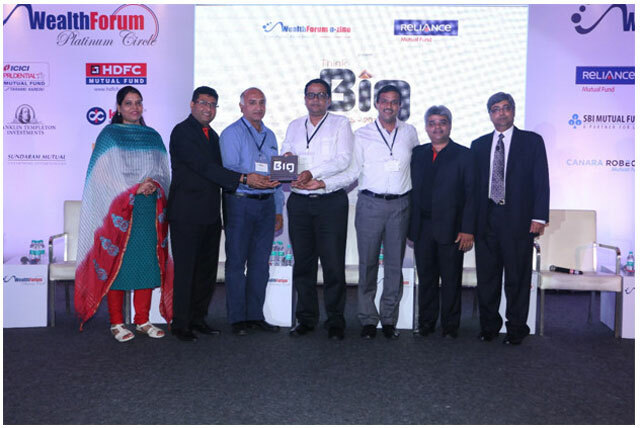 Our Think BIG winner for creating client engagement processes is Vista Wealth - Delhi - Ashish and Manish Goel. Our second winner in the process category has been a rapid adopter of technology, not just to serve existing clients, but to also drive client acquisition. From a stage of pre-printed forms that significantly reduce errors, they now have set up a fully online customer experience and have already migrated over 40% of transactions to the online mode. Transactions are logged in online, sent to clients for verification online, clients verify then online, and transactions get executed online. No paperwork, no transaction slips, no application forms, no auto debit forms. Their team uses a custom developed CRM solution that enables them to stay completely on top of every client related responsibility, while the 3 promoters of this rapidly growing Pune based firm stay on top of the business with cutting edge MI. In a world where AMCs are launching mobile apps as the next level of convenience, this IFA firm has launched its own mobile app where clients can not only track their portfolios anytime anywhere, but can transact from the app itself. In a world where IFAs are getting used to social media and getting comfortable with leveraging it for business, this firm has taken the meaning of social media to the next level, by creating a social media platform for all their clients to engage on diverse matters - an exclusive virtual club which strengthens clients' bonds to the firm as well as among themselves. 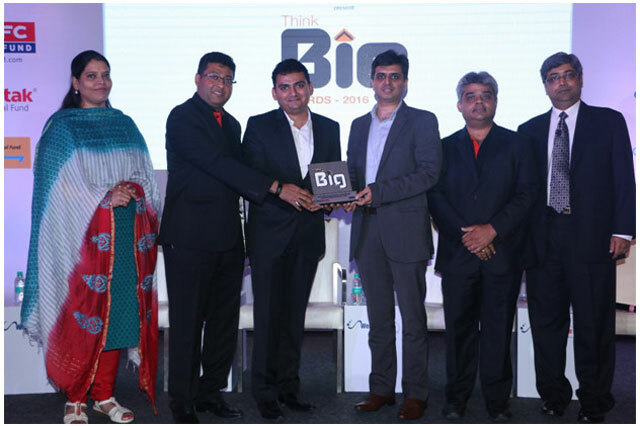 Our Think BIG winner for Technology absorption is the trailblazing firm from Pune - Sapient Wealth Advisors - Janak Shah, Amit Biwalkar and Rahul Khandekar. The final Think BIG award category is for excellence in execution. Excellence in getting things done. Execution is the final proof of the pudding. 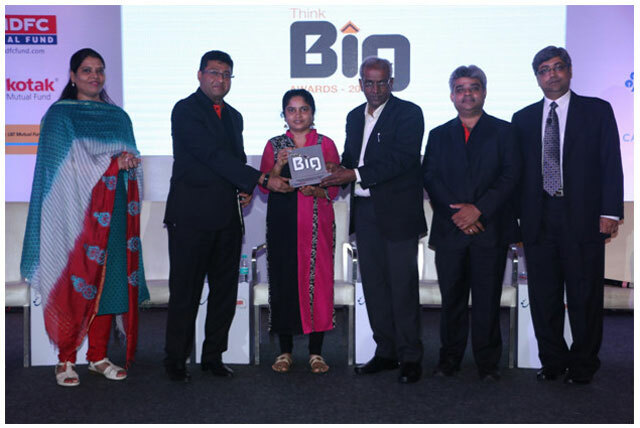 Our winner of the Think BIG award for execution excellence is an IFA from the small town of Jamnagar in Gujarat. He started out in the insurance business 23 years ago and became a market leader in his city very quickly. Mutual funds were something he gave a thought to time and again, but just could not develop conviction in markets and their ability to create long term wealth, despite several interactions with sales persons from fund houses. His perception changed only when a leading advisor sat him down and explained the India growth story that is driven by a fundamentally different demographic dynamic which is not seen in the developed world. Once he built his conviction in equity, there was no looking back for this execution champion. He started his mutual funds business in 2007 and in the last 9 years has grabbed a 12% share of the Jamnagar market, with a mutual fund AuM of over Rs. 120 crores, of which over 80% is in equity funds and the rest in debt funds. His SIP book stands at Rs. 1 crore - a number that most metro based IFAs find difficult to get to. He focuses primarily on HNI families. He does not believe in taking on a part of a client's portfolio - its either all or none for him. And when he takes on a client's portfolio, he has a clear understanding that the portfolio will be restructured to align with the agreed asset allocation - he does not believe in nursing a legacy portfolio which is inconsistent with the agreed plan. And what's more, over 40% of his clients also pay him a fee for his services - in Jamnagar. What his conviction led execution strategy has done for his mutual fund book in the equity side, is what he is now gunning to replicate on the debt side. He has a firm conviction that there is a huge market waiting for him to convert bank FDs into accrual funds and he has done all his homework on this. His target: add Rs. 200 crores to his AuM through this initiative in the next 3 years. Given his execution excellence, you can be sure he will get there - perhaps even sooner. Reliance MF and Wealth Forum congratulate all our Think BIG winners of 2016! We do hope that their BIG efforts serve as an inspiration to fellow IFAs in their journey to Think BIG and grow BIG.